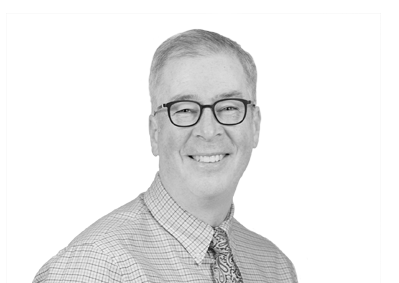 Doug’s 30 years of experience as a Chartered Business Valuator and Chartered Accountant speaks for itself, but it’s his proficiency in working with small to mid-sized businesses that sets him apart from other valuators. His experience as an entrepreneur (he also owns a retail business with his wife) and owner’s business mentality gives him the well-rounded perspective to really understand clients’ needs, including a heightened sense of the accounting and tax matters that affect them. Simply put, Doug loves helping people. He advises lawyers, shareholders, individuals, and corporations across almost every industry, placing a high emphasis on face-to-face interaction with clients and their advisors. His passion for what he does is fueled by his love of variety and the reality that no two valuations are the same. Doug’s calm and rational demeanor sets clients at ease, and his supportive attitude reflects his commitment to making a difference. Doug has testified as a valuation expert witness in the Court of Queen’s Bench of Alberta, Federal Tax Court of Canada, and the Supreme Courts of British Columbia and Yukon. He has also participated in Judicial Dispute Resolution and testified at hearings of the Alberta Land Compensation Board. Doug regularly presents and writes on a variety of business valuation topics for different professional conferences and corporate seminars.